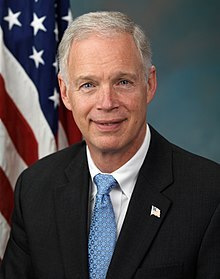 Soon-to-be-one-term Wisconsin GOP US Senator and sunspots-addled Ron Johnson could only cough up right-wing orthodoxy about the federal guvmint being to blame for Milwaukee's problems. He missed a lot of Wisconsin and Milwaukee history growing up and going to school in Minnesota before running an Oshkosh plastics maker. Don't miss Ronnie saying today that he trusts Trump with the nuclear codes. I'm wondering if Russ even has to try...Ronnie keeps shooting himself in the foot. He was campaigning in Duluth Minnesota today so you can add Geography to the list of subjects he needs more education on. He also thinks colleges should be obsolete and everyone learn all they need to know from videos.